Do you have extensive knowledge, skills and experience in managing and implementing threatened flora and/or fauna species recovery programs? Opportunity to implement threatened species conservation projects as part of the NSW Saving Our Species (SoS) Program. The NSW Government has funded an enhanced Saving our Species Program for 5 years to deliver on-ground management activities for NSW threatened species, threatened ecological communities and key threatening processes that impact many species across the landscape. The funding will enable practical on-ground habitat restoration, fencing and control of feral animals in targeted and specific locations. Working in partnership with skilled organisations such as Local Land Services and local councils, experienced non-government organisations such as Greening Australia; and with individual landowners to improve the habitat for iconic species such as the koala but also for some of the less well-known species such as flowering plants and fungi. An expanded program requires an increased number of staff in the Office of Environment and Heritage in our regional operations, science and national parks delivery areas. We are interested to receive applications from external candidates as well as current employees of OEH interested in this program. SoS hubs are being established regionally to provide administrative, budget and program planning support as well as capacity building in database systems and reporting to staff involved in on-ground delivery. More information about Saving our Species is available on the OEH website http://www.environment.nsw.gov.au/savingourspecies/about.htm. Assist in the effective and efficient delivery of priority threatened species programs to achieve corporate objectives in conservation and biodiversity management, community engagement and customer service. Botanical expertise and skills and experience with implementing conservation projects for threatened plants. A Recruitment Pool may be established for future temporary roles with similar focus capabilities. 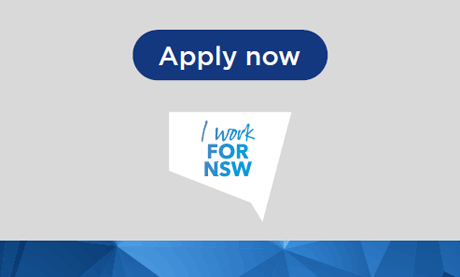 The Recruitment Pool may be available to hiring managers from OEH and other NSW Public Sector agencies over a 12 month period. Q1. Describe a threatened species or biodiversity conservation project that you have planned and implemented. How did you organise your time and resources to complete the project? What challenges did you face and how did you address those challenges? What was the outcome? Q2. Provide an example that best illustrates how you developed and implemented partnerships with a range of organisations and stakeholders related to a biodiversity conservation project? What was the project and what outcomes did you achieve through your community education and engagement efforts? The information provided in your application needs to show how you meet the focus capabilities and other essential requirements of the role. (Refer to the role description for details about the capabilities and the associated behavioural indicators. The role description also lists the essential role requirements. Applications Close: Sunday 18th November 2018 at 11:59pm. Should you require further information about the role please contact; Damon Oliver (02) 6229 7112.